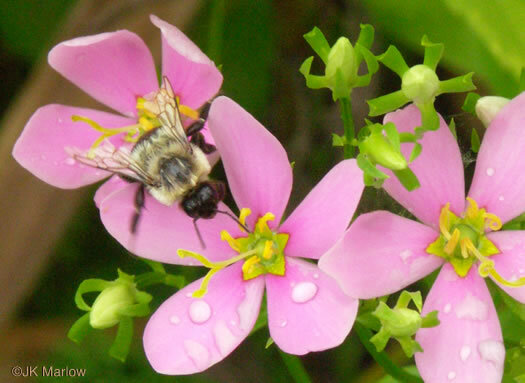 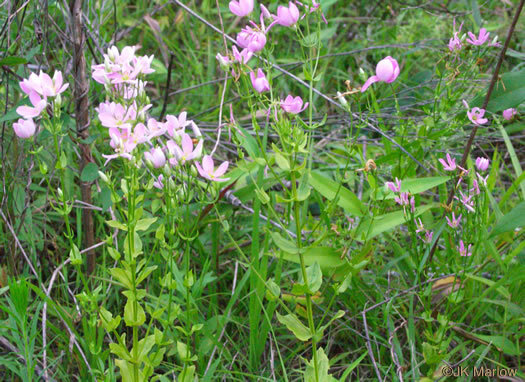 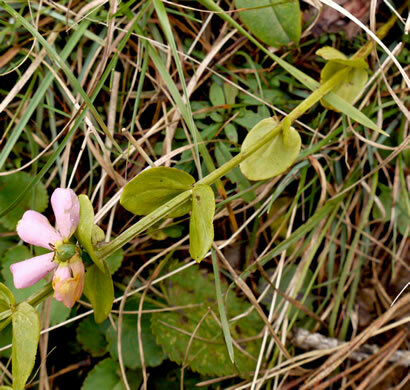 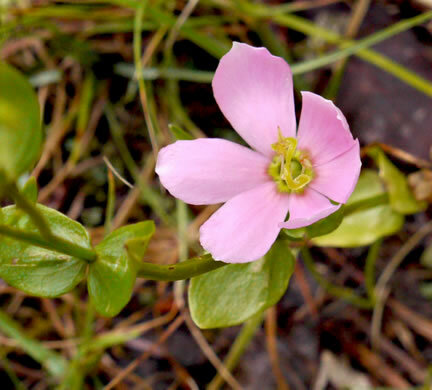 Flowers rose-pink, rarely white, w greenish-yellow centers outlined in red, per Gentians of the Eastern US. 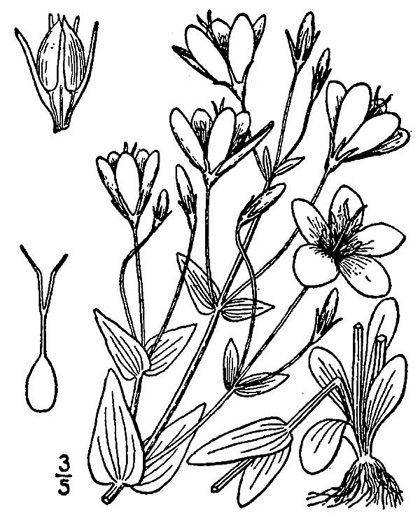 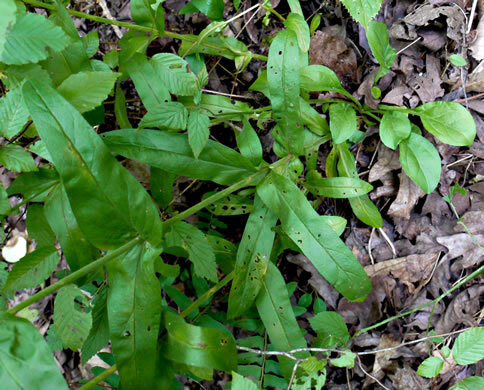 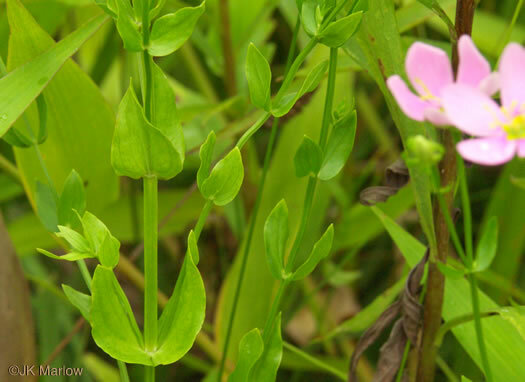 Leaves opposite, spreading to ascending, sessile and often clasping, per Gentians of the Eastern US. 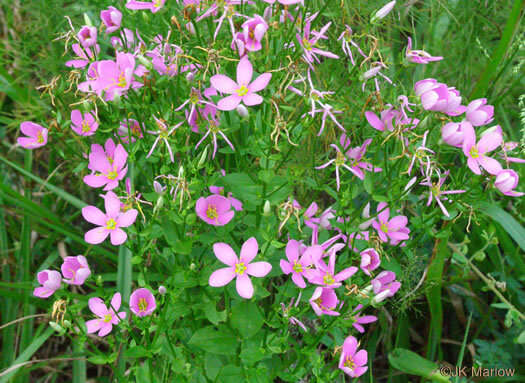 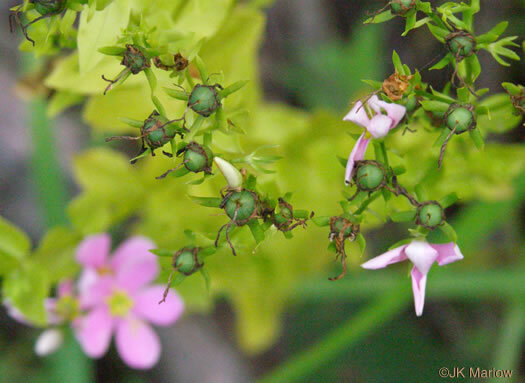 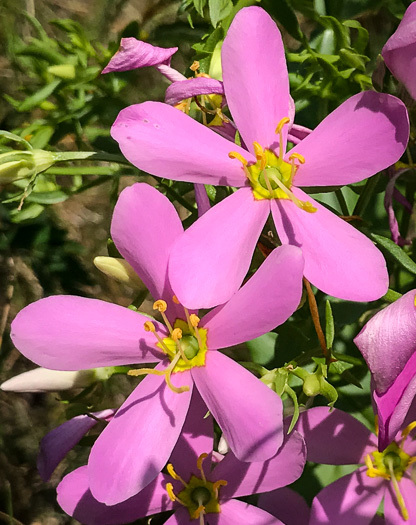 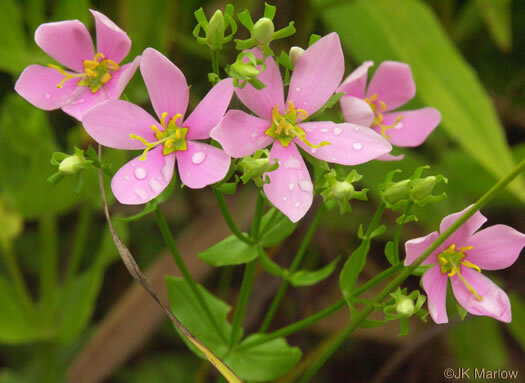 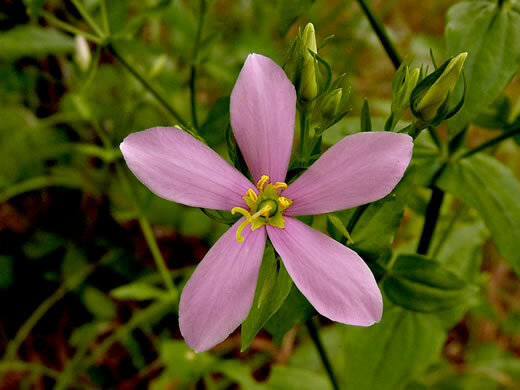 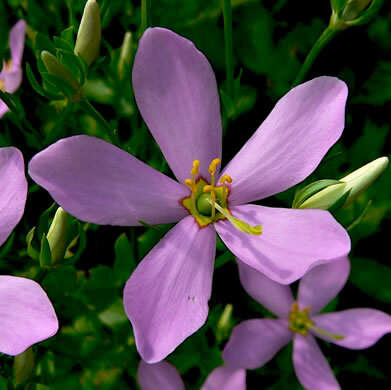 A triangular blotch at the base of each lobe creates a 5-pointed star, per All About South Carolina Wildflowers. 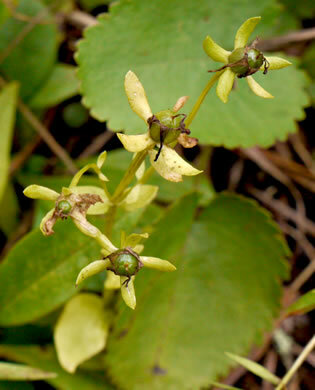 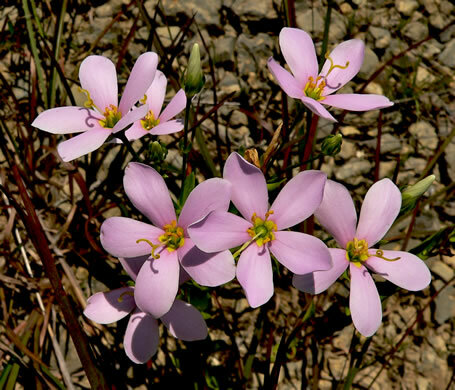 S. angularis is so-named because its stem is 4-angled and sharply winged, per Wildflowers of the Southern Mountains. 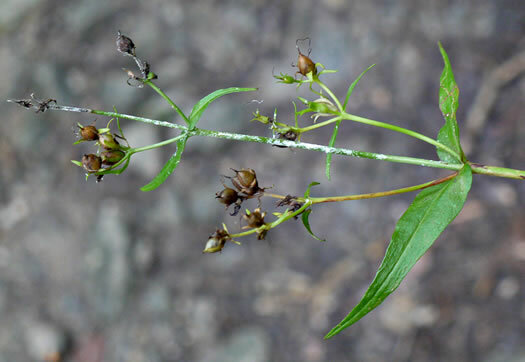 Calyx lobes linear to narrowly lanceolate, per Vascular Flora of the Carolinas. 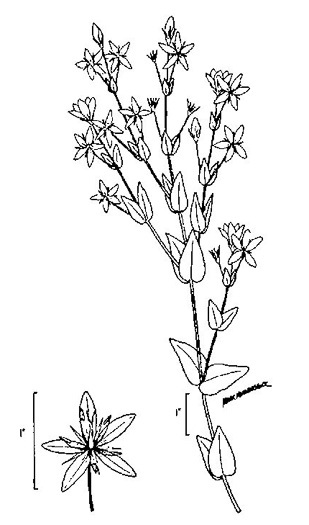 Corollas occasionally have 6 lobes, per Gentians of the Eastern US. 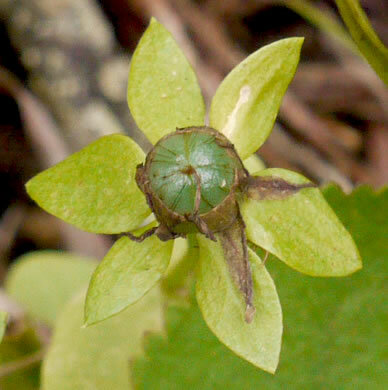 Capsule ellipsoid, 6-10 mm long, angles not winged, per Vascular Flora of the Carolinas. 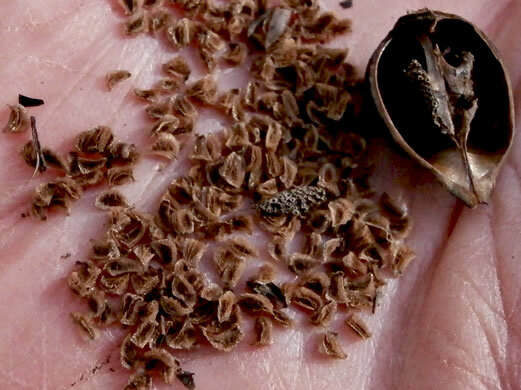 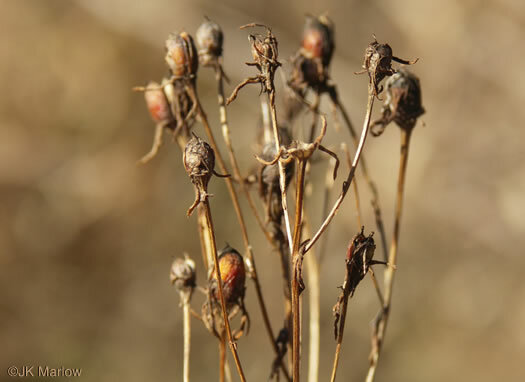 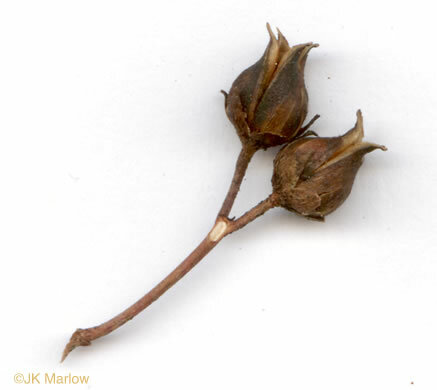 The capsule (a dry dehiscent fruit developed from 2+ carpels) is ellipsoid, per Vascular Flora of the Carolinas.